On February 14th from 10:00 a.m. – 1:00 p.m., we invite you to join your peers and community partners to learn more about the diverse cultures in Columbus by directly hearing from a panel presentation representing our New American communities. Take part in a lively and interesting presentation about Nepalese, Iraqi, Somali, and Congolese cultures and learn about how they enhance and contribute to our city and communities. There will also be a Refugee 101 presentation that will detail refugee resettlement in Columbus. Come prepared to explore, learn and ask questions! A smorgasbord of cultural tastings featuring foods from the countries of our presenters will be included. 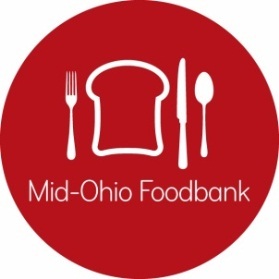 Agency Directors are encouraged to bring their staff, and lead volunteers to this event hosted at Mid-Ohio Foodbank in community rooms A & B. Questions or need assistance with registration? Email Ann Miller-Tobin or call 614.317.9426. Agencies in good standing may register up to 6 individuals for this event. There is no fee to attend. Click here to register for New American’s Panel on February 14th from 10:00 a.m. – 1:00 p.m.